Oh, GUUUUUUUHHHHHHHHHH. 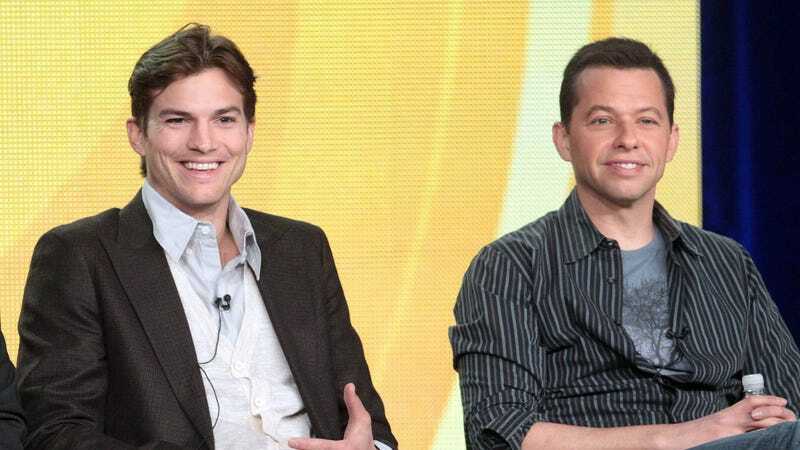 Chuck Lorre has announced that Two and a Half Men's heterosexual main characters, played by Ashton Kutcher and John Cryer, will wed each other in a "hilarious" sham marriage so that Kutcher's stupid character can finally adopt the baby he's always wanted.
. "Their sexuality is irrelevant to loving and caring for a child, which maybe that's the big story that we wind up telling: taking a kid out of the system and giving him a home. What's better than that?"